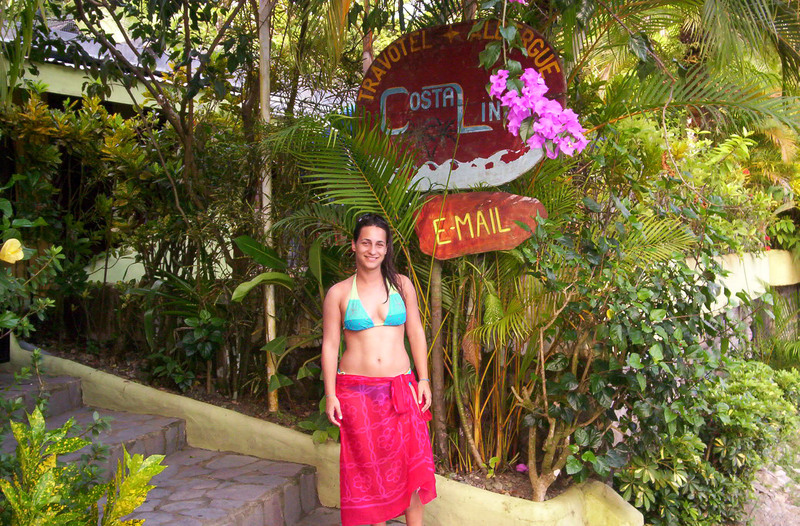 In September 2001 I rented a small backpacker Hotel – “Costa Linda” in Manuel Antonio, Quepos. After 6 weeks of remodeling it was opened late October 2001. In this time the place made its fame, people from all over the world have been my guests. College students, young people between jobs, university professors, drop-outs, thieves – and a lot more. With a lot of them I was able to built up an personal connection. And sometimes I felt a son or daughter was leaving, but actually it was a simply check-out. Of course there was no warm water, the bath room was shared, you have to beware of ants and other creatures. The howler monkeys starting their concert always when sleep is needed most and sometimes you had to deal with a bad mooded old german manager. But, anyhow, most of them liked it, a lot of them came back and if I would start telling stories, we can sit all night long. But everthing comes to an end. My contract finished beginning September 2006 and somebody else will administrate the place.So a very special episode of my life ended and I am grateful to everybody who visited the place. My special rememberance is directed to: David from NY, Michael, Eilon, Ruediger and Tanja, Tchachi, Javier from Barcelona, Roberto Swiss, Rosemaria, Thelma from Egypt, Jana, Hadar Herzog, Karin Huber, Jean-Philippe, Samy, Oded and many, many more. I hope you all remember the self-appointed historian, chess player and friend.